EDB to PST conversion is one of the most important steps when you are moving to Office 365. However, there are no manual methods to achieve this, so you have to use a third-party tool to convert EDB items to PST. And when it comes to EDB to PST conversion tools, RecoveryFix EDB to PST Converter stands out from the crowd. Its extensive features differentiate it from other tools, but before going to that, let us see why EDB to PST conversion is necessary. Why EDB to PST Conversion is Required? If you lose your Exchange data, you won’t be able to restore it. However, a PST file can be used as a brick-level backup for EDB. In any case, if the EDB file or its mailboxes gets corrupt, it’s not easy to access them. But, by repairing the EDB file, these mailboxes can easily be restored to PST. By converting EDB to PST, you can easily access all your mailboxes with Outlook as well. Converting EDB to PST allows you to access your emails even in the offline mode. RecoveryFix for Exchange Server Recovery is capable of recovering mailboxes from corrupt EDB files. It conducts a flawless recovery and retrieves all mailbox content including the permanently deleted data in the original hierarchy. This tool allows you to convert offline EDB files to PST without any hassle. You can perform continuous conversion of EDB to PST. Apart from PST format, you can also migrate EDB mailboxes to MSG or EML formats. RecoveryFix OST to PST converter helps users to migrate archive mailboxes as well as public folders from an EDB file to PST file. Also, during the migration process, it does not affect the data integrity of the mailboxes. With e-discovery search feature, you can look for specific emails in the EDB mailboxes, and then convert them to PST, MSG, EML formats. The advanced filters of this tool allow you to search emails based on Date, Sender’s name, Receiver’s name, etc. 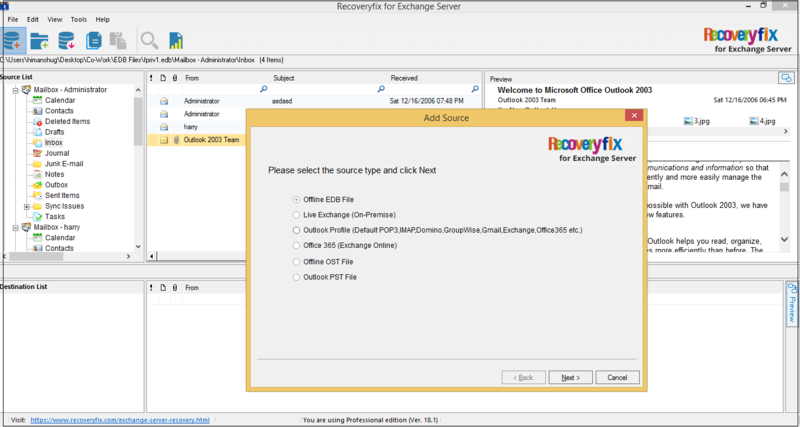 With RecoveryFix Exchange Server, you get multiple saving options for EDB to PST conversion. For example, you can directly export single as well as multiple mailboxes, or copy-paste mailbox from the source to destination. The entire conversion process is easy and takes only 3-steps to complete. No need of EMS cmdlets or EAC knowledge to convert EDB to PST. Data is saved in the original hierarchy & structure in the PST file. Working process of the tool is very easy; you do not need a manual guide to use it. Retains data integrity of the EDB file during conversion. You do not need any technical ability to use this tool. Why Choose RecoveryFix for EDB to PST Conversion? FinancesOnline is one of the most reputable websites for software reviews. 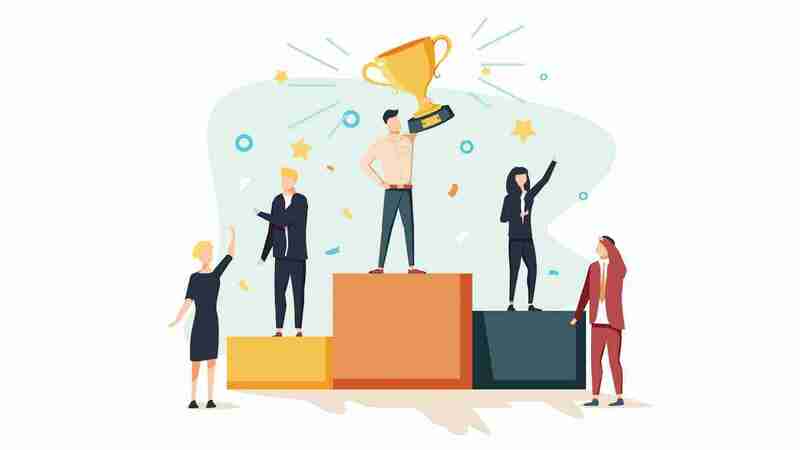 It took the initiative to review RecoveryFix Exchange Server for EDB to PST conversion and awarded it as the most useful tool with a user satisfaction rate of 80%. Also, rated its overall performance with a pointer of 8.0. RecoveryFix Exchange Server has been endorsed by Microsoft’s most professional MVPs. According to Krishna (Microsoft’s MVP), RecoveryFix Exchange Server is the fastest converter for EDB to PST. It not only allows users to convert EDB to PST but also offers the opportunity to migrate these mailboxes to other platforms. StandAloneInstaller is specialized in reviewing software for safe download. After reviewing RecoveryFix Exchange Server, it was marked completely clean from AD-Aware, AegisLab, AhnLab-V3, or other malware. This review made it clear why RecoveryFix Exchange Server is the most recommended software. The trial version of RecoveryFix Exchange Server is free to download. You get all the features of this tool free for 30-days. Also, the trial version allows you to save 25 items/folder of EDB file. After purchasing the tool if you are not satisfied with it or face any problem in converting your EDB file to PST, then you get 30 days Moneyback guarantee. RecoveryFix support team provide 24×7 support for all your queries related to EDB to PST conversion. Whenever you face an error or any issue, you can call their customer care number. EDB to PST conversion becomes a necessity once you have enough data on your Exchange Server. So, converting EDB to PST is the best option if you want to move to Office 365 or want a good backup for your EDB file. The above points clearly prove how RecoveryFix for Exchange Server is the best choice for EDB to PST conversion.